One of the major shots of the Aquaman trailers has been Arthur Curry and his father driving down the coast, trying to outrun a massive tidal wave that would easily end a lot of lives. 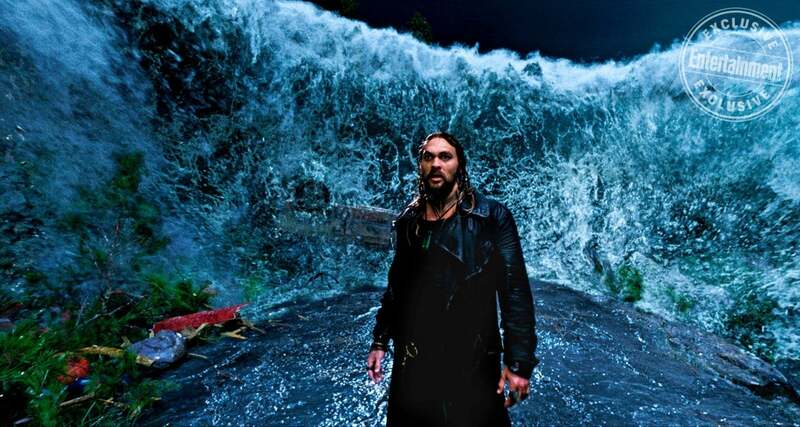 While many have assumed to this point that the wave was an attack by Atlantis on the land-dwellers, director James Wan has now confirmed that isn't exactly the case. While speaking with EW about the scene in question, Wan revealed that it was actually a warning from King Orm, letting everyone know that he isn't going to take it anymore. According to Wan, this doesn't actually spoil anything in the movie itself. There's so much going on in the film that this doesn't begin to tell the story. Piggybacking off of that, Wan went on to talk about the long scene in the extended trailer where Arthur and Mera are running from Black Manta. Apparently, that's only half of the actual scene. Thankfully, with only a month and a half until Aquaman arrives in theaters, so we don't have to wait too long before we find out what else James Wan has in store. Are you excited for Aquaman to debut? What about the movie are you most looking forward to? Let us know in the comments! Aquaman swims into theaters on December 21st.